Flow is the number two snowboard binding company in the world. An achievement such as this doesn't take place overnight; it takes perseverance, commitment to product innovation and a product that stands apart from the rest. For Flow, success has been 10 years in the making. 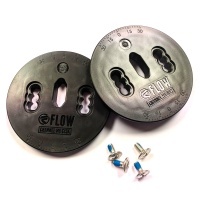 These fit Flow Bindings to enable them to fit the Burton Channel Snowboards. This is 10cm diameter disc and fits Flow Binding Systems. 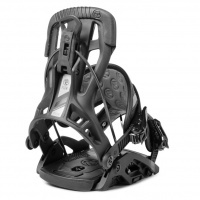 The new Flow Five Fusion Black Step In Mens Snowboard Bindings, what a great all rounder with an eye pleasing price tag. get yourself on the slopes quick with these. 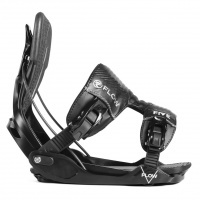 Set it and Forget it, then send it with the Flow Fuse Fusion Step In Mens Snowboard Bindings. a real performer for all mountain and freestyle riders.